Offering choice to a loyalty program member isn’t new, but it is now imperative as more one redeems or even accesses an app to check out options, more is the likelihood of knowing a traveller better. Airlines are banking on a data platform as a decentralised framework built for agility. And this is being exemplified by openness to breaking data silos, and even looking at ways to capturing real-time behavioral data and acting on unstructured data. The quality of data has a big role to play in knowing loyal customers better and one way to step up the same is making the reward store more attractive. Choice is a way to deal with inactiveness or discontentment among members. A loyalty program’s survival and success is all about making the right choice, asserts Loylogic’s CEO Dominic Hofer. Hofer recommends that companies not only need to focus on a diversified range of trending merchandise, but also offer different means of redemption. India’s JetPrivilege (JPPL), a joint venture between Jet Airways and Etihad Airways, acknowledges that when members are offered the choice and flexibility in the way they earn and redeem their reward currency, their engagement with the programme increases, which in turn leads to them sharing more data about their choices with the programme. 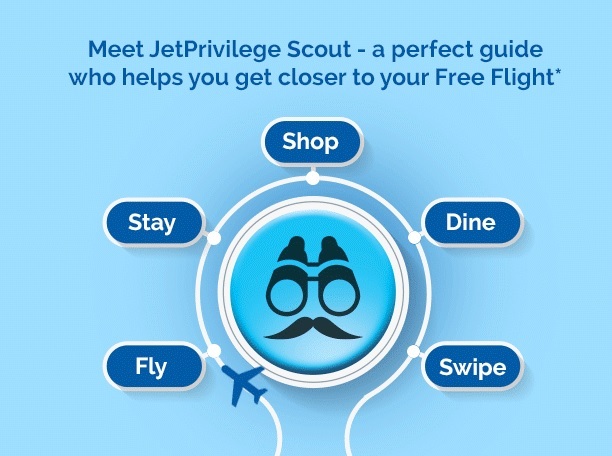 Also, by letting members collect loyalty currency when they spend on daily products like fuel and relatively frequent buys like movie tickets or dining out, JetPrivilege is also stepping up its efforts to track the activity of the user. “…search, digital platform’s usage, cart abandonment on our site – everything is being tracked. This online data is being blended with underlying offline data and it results in the evolution of our journey (of being customer-centric via data-driven initiatives,” mentioned Manish Dureja, MD, Jet Privilege in a recent interview. He shared that JPPL is adding around 4000 members on a daily basis. The JPPL team has been working on plans to scrutinize whatever data is available and creating unique profiles all of its members. As per the recent update, there were 22 databases/ systems and more are being integrated. Specialists also point out that choice isn’t about just redemption. It is also equally important to let one pay in a variety of ways, say a mobile wallet option in a particular market, or use the loyalty currency for the same. Plus, redemption isn’t restricted to an airline’s digital asset only. Airlines have been extending the use of their loyalty currency in channels outside their own environment. use their miles or points for an online purchase on a 3rd party site. How to increase the stickiness of your FFP or loyalty programme? Hear from experts at the upcoming Mega Event Worldwide (Ancillary, Loyalty & Co-Brand Conferences) to be held in Long Beach, California (31st October – 2nd November, 2018).